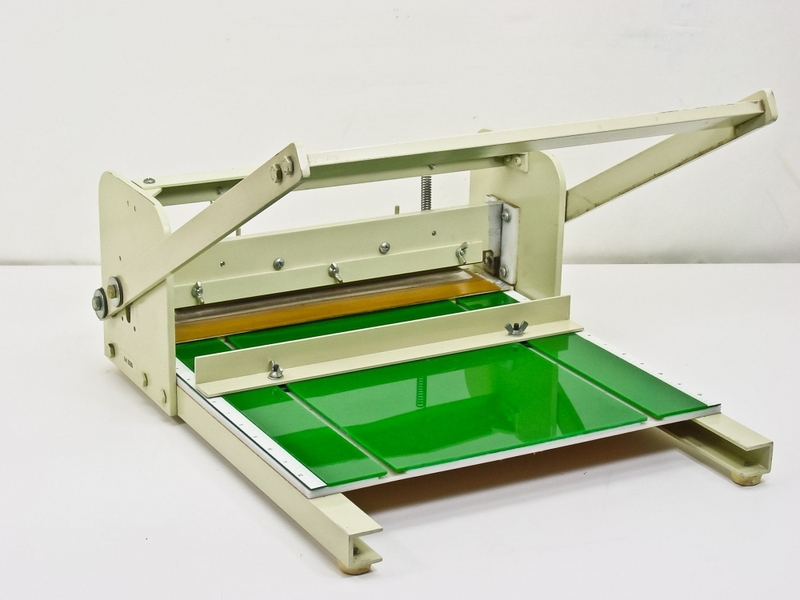 Hand scorer and hand perforator is a handy tool in your print shop when things are busy. Your shop is multitasking. When business is good, you’ve got 80% of your machines running 80% of the time. Your sales force is lining them up and you’re knocking them down. It’s a mix of new business and repeat customers and you’re very pleased with meeting everyone’s needs with a diversity of services. The big machines pay for themselves and are easy to justify in your business plan. But, what about the those hand-operated gizmos in the back corner? Do they ever get any use? The big machines pay for themselves and are easy to justify in your business plan. But, what about those hand-operated gizmos in the back corner like your hand scorer? Do they ever get any use? Not every project justifies the use of a big machine. Sometimes the setup time alone is the same or longer than it takes for the actual run. And, are 500 pieces worth waiting in the queue if someone could knock them out manually in a couple hours? You need to take a minute to reflect on the old theater adage, “there are no small parts, only small actors.” Sometimes the smaller jobs are the “rush” jobs. They’re frequently jobs you’ve charged a premium for, AND they’re jobs that a loyal repeat customer has brought to YOU instead of to the chain that’s closer to their office. Do it quick, with the same quality as a high-volume machine, and those customers stay loyal. Keep your bigger machines running without interruption and everybody wins. One must-have tool in the shop is a hand scorer/perforator like the HS-100 Handi-Scor. There’s virtually no setup and you’ll have the capacity to score and perf tent cards, brochures, menus, greeting cards, sales tickets, raffle tickets, business forms, carbonless and more. We’ve got this model and others at Lloyd’s. Check out the selection, and be ready to truly multi-task with efficiency in your shop.